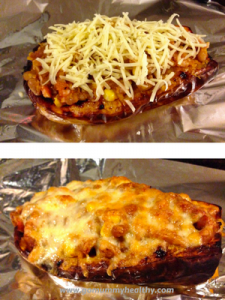 A unique British-inspired butternut squash recipe. It also delivers 2 of your five-a-day! A lonely butternut squash was sitting on the shelf for nearly 2 weeks while I was just waiting for the right time to transform it into a lovely and satisfying family dinner. I love stuffed vegetables – but to be honest I was a bit bored of the feta-walnut and honey-walnut versions what I usually make. I searched the web for inspiration but somehow I did not find the right one. So I thought hard and checked all the cupboards and finally invented this British Stuffed Butternut Squash. I named it British because it’s inspired by our British favourites: baked beans and bacon. I added some barley too, it worked really well, but this optional, so if you are in a hurry just omit it. I named it British because it’s inspired by our British favourites: baked beans and bacon. I added some barley too, it worked really well, but this optional, so if you are in a hurry just omit it. I used my home-made baked beans this time – as we have plenty in the freezer (made a huge batch in the slow cooker a few weeks ago) – so it’s super healthy too. But I am confident that the reduced salt and reduced sugar baked beans from the supermarket work just as well. I can say that it was delicious and I am sure I will make it often. And it’s just dead easy: Roast the butternut squash in the oven, mix the stuffing ingredients in a bowl then fill the squash, bake it a few more minutes in the hot oven – and tadaaam dinner is ready. 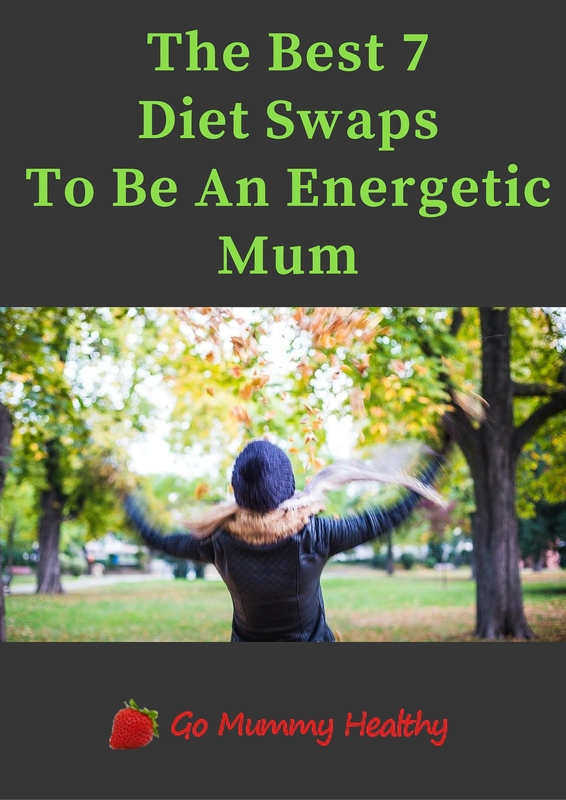 Are you a constantly tired Mum? to get your energy back! Pre-heat the oven to 190C / 375F / Gas Mark 5. 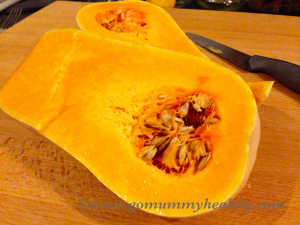 Cut the butternut squash into halves and scoop out the seeds with a spoon. Place the butternut squash halves onto a baking tray and spray or spread the olive oil on the cut side. Sprinkle over the thyme and bake it for 40 minutes. In the mean time cut the bacon into small pieces and dry fry them in a frying pan. 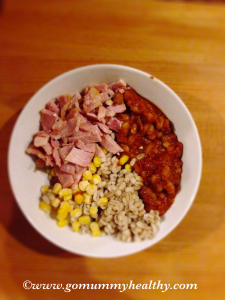 In a mixing bowl combine the baked beans, sweetcorn, bacon pieces and barley pearl. 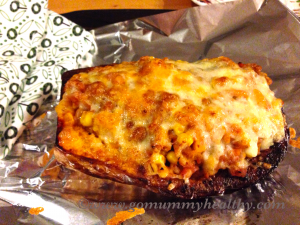 When the squash halves are cooked remove them from the oven, fill the halves with the bean mixture and sprinkle over the cheese. Bake them for a further 10-15 minutes until the cheese is melted. What Is Quorn And Why I love It? Follow this action plan to get your energy back! Download this FREE action plan to get your energy back!